Last summer on a flight to Colorado, the passenger sitting next to me was a German videographer. Specifically, he recorded dance pieces. I had danced for many years, decades even, so we immediately struck up a conversation about the complexities of recording dance and how usually no one is satisfied with the result. Then he went on to tell me how he worked with the Pina Bausch dancers. 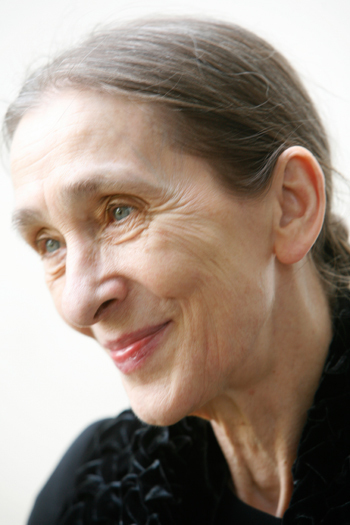 Pina Bausch! I knew all about Pina Bausch. Just two summers prior to this meeting I had danced with a theater group who did a whole tribute to Pina Bausch. Coincidence? I had heard about Pina as a college student, but did not know much about her as a choreographer, other than she was cutting edge and, of course, German. When I joined this theater group in mid-life, which was quite by accident I might add, I didn’t know that much more about her. Now I know that she was an amazing choreographer who, perhaps, valued the process as much as the product. When her dancers learned a part in a piece it was something they carved out for themselves, intrinsically unique and intimate, something that came from a deep place, perhaps even deeper than what they thought possible. The result was a role they could not teach to anyone else, because it fit as personal as a second skin. It was who they were as real people. My German friend had seen Pina’s process up close. He had to tell me all about the dogs. The dogs? He told me about this dancer who was afraid to go to rehearsal everyday, because once she was there, they released a pack of wild dogs on her, and she was afraid for her life. I guess the dogs were part of the piece? Wow, that seems a little extreme, I commented. Wild dogs, huh? Yes, the night before a session with the dogs, this dancer couldn’t eat or sleep. Nothing like a pack of wild dogs to help you really get to the bottom of things, find out who you really are, what you’re made of. Then, my friend went on to share that he actually met Pina Bausch. He happened to wander into this cafe where members of Pina’s company were dancing the tango. It wasn’t that they were rehearsing for anything in particular. They were just dancing the tango together, because that’s the kind of thing they did. Or, should I say, they lived to tango. It was in this cafe that my German friend saw Pina. What? You actually saw her? Not only that, he sat down next to her. Her response? She socked him right back with a big punch to his knee. He said he wouldn’t have wanted it to happen any other way. It was perfect just like that. I understood. It was at the moment that I thought we had the sixth degree thing going, but it was more like two degrees. Was there more to my connection with Pina Bausch? Or, will it simply end with this strange post of mine? Have you ever met anyone with whom you felt you had a fateful connection? Maybe from a past life? I won’t judge. I’ve included a trailer from the Wim Wenders documentary film Pina, nominated for many awards. It looks incredible, and I think you will enjoy the video. If you’re not a big dance fan, I’ll bet you’ll like the music. I have yet to see the film, unfortunately. Have a look. If you’re interested in more video clips, there are many on YouTube. I promise a follow-up post of my personal experience dancing in a tribute piece to Pina Bausch. Thanks, Joycelyn. Thanks for reading. Wow, that’s very cool. I’d love to see more of that style of dancing. Very raw and emotional. It is really cool. I can’t believe I haven’t seen the film. It came out in limited release, of course. But, I can probably rent it now. If you ever get a chance, check out a modern dance performance. I bet you would enjoy it! I didn’t know you were a dancer. Oh how I love Wim Wenders. The dance style is extraordinarily cool. And the world is so small. I love that you had that opportunity to weave your thoughts with someone elses experiences. Danka. Hi, Shalagh. Once upon a time, I danced quite a bit. I haven’t danced as much since I had kids, and even less lately. I hope to get back into it a bit just to be in class and dancing. Thanks for your wonderful comments. Fascinating story, B.F… and I didn’t know you were a dancer, either! Very, very cool! Interestingly enough, my ‘dancing’ looks a bit like I’m being chased by a pack of wild dogs (to put it nicely)! Although I have been told I do a mean ‘motionless-robot’! I have been fascinated with Isadora Duncan since I was 12. I loved her spirit and the way she moved and the way she thought and often fantasized dancing like her. Of course, I don’t dance but I try to channel her whenever I am prancing around the house. That’s great! I love that Michelle. Who knows…maybe she is channeling through you. Dancing is good for the soul! Keep up the dancing. Mmm..you dance! And the tango…every mood is in that music…wild dogs…yes..up in the mountains of Azerbaijan..but fairly easy to control. You have to pick up stones, big ones in your hand, hold up high above the head, ready to throw hard, and make sure you know who the pack leader is, to throw at that dog. But we were 4. Alone..not sure..
Pirate, I’m not surprised you’ve come across wild dogs! You are the first to mention it. That sounds pretty fierce how you fought them off. Better you than me! I’ve done a lot of dancing in my day, but not so much lately. I’d like to get back to it. Hopefully soon.